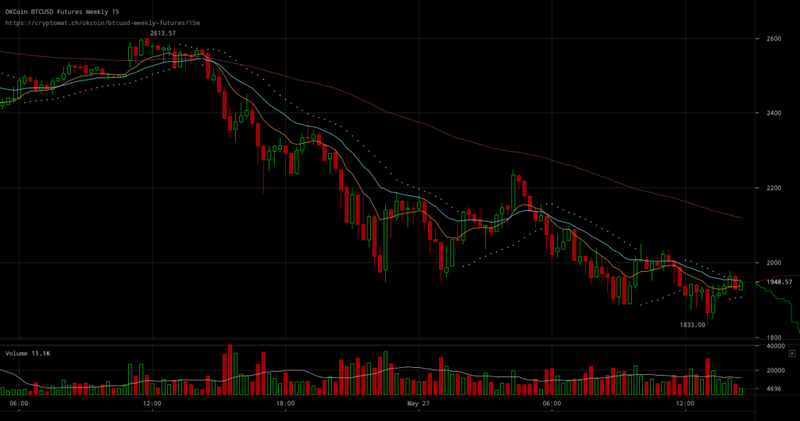 Bitcoin markets are having a hard time coping with selling pressure. While trading volumes remained close to record high levels, the market’s sentiment did undoubtedly change for the worse. In so far, bitcoin markets experiencing a record breaking price fall that’s putting prices under a burden of price falls that are greater than 25%. Support levels continue being chewed through by bearish traders as profit taking and selling pressure keep pushing prices down. Bitcoin traders continue to give into the bearish market sentiment that’s spread all over crypto markets. 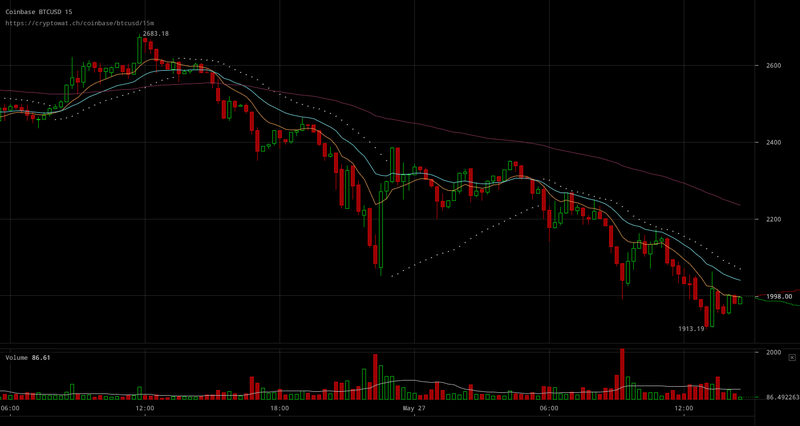 The downward spiral that’s plaguing BTC prices at the moment doesn’t seem to be regarding any supposed underlying support as $2000 levels were breached quickly. GDAX BTC/USD charts are indicative of how selling pressure started dominating markets right after the price peak. Traders got a hold of the changing market sentiment as the recovery failed to push prices back up to previously reached levels and the decline hasn’t stopped ever since. In so far, markets remain bearish while prices continue dropping, with no levels of support appearing to hold any strength. OKCoin BTC/USD weekly futures charts showcase that futures traders have also dumped the bullish attitude adopted through previous trading sessions. As the price rise came crashing down along with the bullish market sentiment of the rally, futures traders also stopped being positive about the price’s potential. In so far, futures rates stopped having a positive spread between them and live BTC/USD rates, and are now trading at slightly lower rates than the ones of live prices. All in all, it’s worth pointing out that not so far no upward spike has been able to receive a positive follow up as prices keep falling after the failure of the attempted recovery recently. Bitcoin prices are seeing a decline bitcoin traders hadn’t observed in years.